Tanya Moiseiwitsch (1914 -2003) trained at the Central School of Art and, after working as a scene painter at the Old Vic, became the resident designer at the Abbey Theatre, Dublin, from 1935 to 1939. She then worked for the Q Theatre in London and for regional repertory theatres, returning to London in 1945 to design productions for the Old Vic Company at the New Theatre, most memorably Cyrano de Bergerac starring Ralph Richardson. Moiseiwitsch was highly praised for her permanent sets for Shakespeare's Henry VIII (1949) and the history cycle of Richard II, the Henry IV plays and Henry V (1951), all at Stratford-upon-Avon. This led to her work with Henry VIII's director, Tyrone Guthrie, at Stratford, Ontario, where she designed the Stratford Festival Theatre's permanent thrust stage and went on to create over 20 of the productions staged on it. In 1963 she and Guthrie founded the Guthrie Theatre in Minneapolis for which she again designed the stage. She continued to work in Britain, notably for the National Theatre and the Crucible Theatre, Sheffield, where she was design consultant. The costumes for the 1951 Stratford-upon-Avon histories were all designed by Moiseiwitsch, assisted by Alix Stone. Dyes and paint were used to give the impression of wear and tear and long use. These were everyday clothes and not stage costumes. Henry V's tabard, made of hessian and felt with simulated armour at the shoulders, looks as if it could have been worn on the battlefield. Prince Hal and Henry V were played by Richard Burton. This was Burton's first Henry V. He played the part again at the Old Vic in 1955. 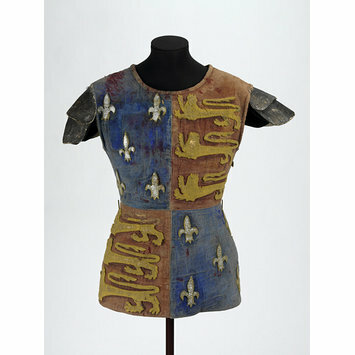 This tabard was worn by Richard Burton in the title role of William Shakespeare's play King Henry V performed at the Shakespeare Memorial Theatre, Stratford-upon-Avon, in 1951. The production was directed by Anthony Quayle and designed by Tanya Moiseiwitsch, assisted by Alix Stone. 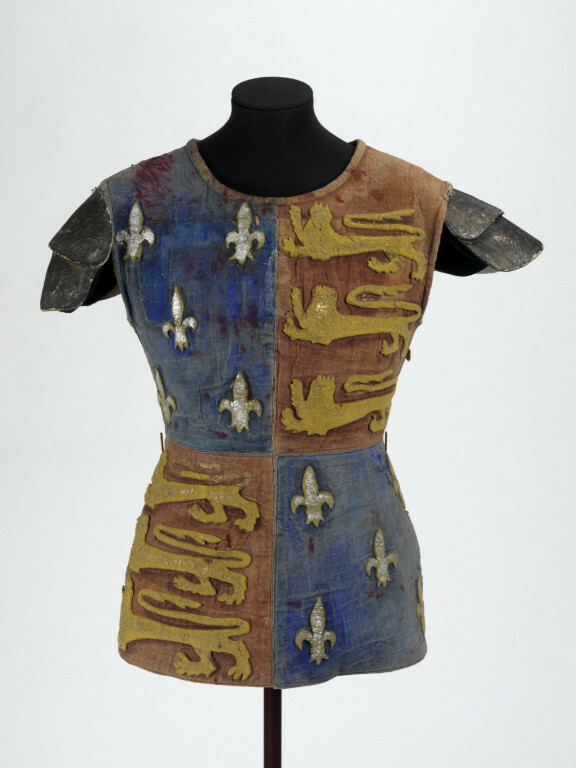 The tabard worn by Richard Burton in Henry V is based on heraldic sources, but has none of the historical detailing or precision. It is boldly made, using felt appliqué and painting to achieve its impact. This is to some extent due to the post-war shortage of fabric, but also to the overtly ‘theatrical’ approach of designer Tanya Moiseiwitsch.